It is undeniable that one of the hardest parts about getting into a new activity is simply understanding what everyone else is talking about, and there are few hobbies where this problem is as pronounced as it is in video gaming. Blade and Soul is no exception. 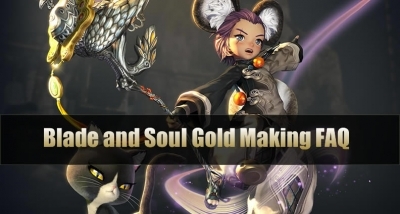 For new players, the discussions about Blade and Soul are often full of strange phrases, abbreviations, and bizarre words you've never heard before, when people talk about these game acronyms, you may not know they are talking about what. 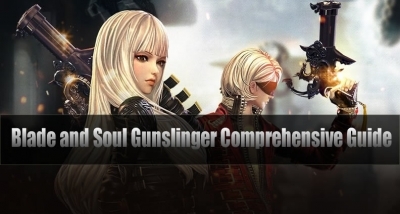 This Blade and Soul Acronyms FAQ may help you. No.1 - What are Blade and Soul Acronyms? 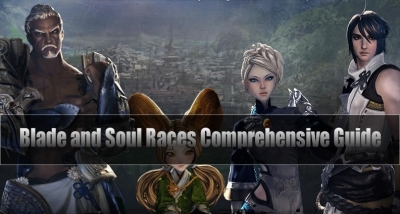 No.2 - What are the categories of Blade and Soul Acronyms? No.3 - "Class Acronyms" and what does each "Class Acronyms" mean? No.4 - "Skill Acronyms" and what does each "Skill Acronyms" mean? No.5 - "Endgame Dungeons Acronyms" and what does each "Endgame Dungeons Acronyms" mean? No.6 - "Player Slang" and what does each "Player Slang" mean? No.7 - Other Blade and Soul Acronyms and what do they stand for? NO.1 What are Blade and Soul Acronyms? For convenience, Blade and Soul Acronyms is to abbreviate game nouns that appear in the game. For example, "Dest" stands for "Destroyer", "CC" stands for "Crowd Control" and so on. Familiar with these acronyms words can facilitate your game life. NO.2 What are the categories of Blade and Soul Acronyms? Blade and Soul Acronyms can be divided into Class Acronyms, Skill Acronyms, Endgame Dungeons Acronyms, Player Slang and other Acronyms. Here you can find whatever Acronyms you want to find. NO.3 How many "Class Acronyms" are there? What does each "Class Acronyms" mean? BM - Blade Master. The Blade Master is a well-rounded class that is easy to use but difficult to master. Blade Masters have a wide variety of attack and defense skills, those who are confident with playing a major role in group instances, and who have no issue with only really being able to take on enemies one at a time is suitable for playing this class. Dest - Destroyer. The Destroyer are most effective in group combat. Destroyers have the most stopping power of any class in Blade & Soul. They complement other classes like the Assassin, Force Master, or Kung Fu Masters. Someone who wants to take down a barrage of enemies, and is more concerned with PvE than the PvP's one-on-one battles is suitable for playing this class. Sum - Summoner. The Summoner and their Familiar are a purr-fect team that always fights together. Players who enjoy pet classes and/or a low skill skillcap will find that the Summoner summons a lot of fun. FM - Force Master. What make the Force Master differ from other classes is its ability to attack from a long range, enabling them to deal heavy damage from afar. If you don't want to get your hands too dirty, enjoy playing Mage classes without relying on a pet, and prepare to deal out a great deal of damage from a distance, the Force Master is definitely the class for you. KFM - Kung Fu Master. A Kung Fu Master's true power is their ability to catch an opponent's attack, divert the blow, then counter-attack in the blink of an eye, in addition to their mighty punches and kicks that can lay waste to enemies. Someone willing to take the time to learn the plentiful amount of attacking options available to the Kung Fu Master, and who has a reasonable amount of experience with combat-orientated MMOs is suitable for playing this class. Sin - Assassin. The Assassin is a stealthy sort, more so than others, Assassins work best alone. Players who enjoy Rogue and Thief-oriented classes will enjoy Assassin for its quickness, outstanding burst damage, and unique ability to stealth. BD/LBM - Blade Dancer/Lyn Blade Master. The combination of rapid attack speed, high mobility, and devastating control abilities at the expense of defense makes the Blade Master a force to be reckoned with. Players seeking a hybrid class that can remain engaged with enemies at melee or range with flashy, high area of effect attacks will enjoy playing as the fabulous Blade Dancer. WL - Warlock. The Warlock is a medium-ranged caster that relies on empowered Talismans, harnessing dark magic, floating supernatural writings that can be consumed or unleashed to great effect - to protect or attack. SF - Soul Fighter. 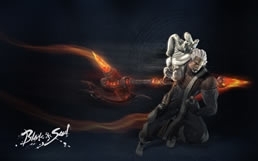 The Soul Fighter is the second hybrid class for Blade & Soul, they are the only class that is able to deal heavy damage up close and from a distance. 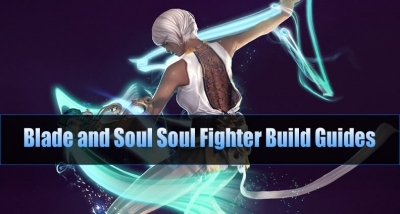 Soul Fighter has two major skill builds that exist: Ice build, Earth build. The two are all useful for maximizing your damage based on your gear and ping levels. Gun - Gunslinger. As a gun-toting wrecking machine, the Gunslinger is a unique martial artist; entering battle with dual wielding pistols capable of taking down the hardiest of enemies. Gunslingers can also make use of a special grappling hook that aids them in both offense and defense. NO.4 How many "Skill Acronyms" are there? What does each "Skill Acronyms" mean? CC - Crowd Control (In-game calls it a "status effect"). There are 8 common types of CC: Dazed, Stunned, Unconscious, Knocked Down, Airborne, Grabbed, Force(Phantom) Gripped, Grappled. There is also a special case that can be called "Disabled" which happens with certain class moves. Iframe - Invincibility Frame (In-game calls it "Resist"). Basically dodge skills which means you cant take damage during that period of time. SB: Soulburn (Warlock thing). Warlock can use a spell/buff on you and then you use the ability. BB/FS - Blue Buff/Fighting Spirit (Kung Fu Master/Assassin thing). Assassins tab is also blue buff, they also share a forced period of time where you can't activate the other. NO.5 How many "Endgame Dungeons Acronyms" are there? What does each "Endgame Dungeons Acronyms" mean? BSC - Blackram Supply Chain. Blackram Supply Chain is a purple dungeon located in Blackram Shipyard at Moonwater Plains. Blackram Supply Chain is identical area to E. Fleet Supply Chain. It is a lvl45 dungeon for 6-member party. BSH - Bloodshade Harbor. Hae Mujin is the leader of the Blackram Marauders, and directs his gang from Bloodshade Harbor. There are several bosses in Bloodshade Harbor: Venomous Thrasher, Munitions Officer Blood Mane, Cobalt Widow & Scarlet Widow, Admiral Hae Mujin. CB - Celestial Basin. Celestial Basin is inhabited by three factions of NPC's, the Scavengers, Croxars and Aomak. This area is known for farming Peaches for various upgrade items, Mystic Badges, Sacred Longgui Soul Shield 6 - 8, etc. from the Celestial Peach Exchanger Lee Youjin.Celestial Basin is at the southern-most area of the Gunwon City zone and is directly accessible by Windstride. NL - Naryu Labyrinth. Naryu Labyrinth (Spiral Labyrinth) is the toughest 4/6 men dungeon at level 45 cap in Blade & Soul Online. It contains many rooms which are connected by randomly open passages and this increases the replay factor of this unique dungeon. Naryu Labyrinth consists of 3 stages, with boss(es) in each. SSP - Soulstone Plains, which is a major source of soulstones and moonstones but in general requires decent gear to farm efficiently. Lair - Lair of the Frozen Fang. Lair of the Frozen Fang is one of the only dungeons available for 4-member. Necro - Awakened Necropolis. Dark energy has overtaken the Highland Necropolis. You shouldhelp retake the Necropolis and halt the corruption. CS - Cold Storage. Cold Storage is a dungeon that can only be run once per day unless a Cold Storage Reset from the Hongmoon Store or Daily Dash is used to reset it. This small dungeon consists of 1 mini-boss, Pulverizing Automaton, the main boss Winter Mane, and an additional bonus boss, Kaari Lord. HM - Heaven's Mandate. Heaven's Mandate is the last encounter against Jinsoyun in her final demon form at the Dark Gate. She is looking to revenge the death of her master. ToI - Tower of Infinity. The Tower of Infinity is an ultimate single-player dungeon.in this tower, the player will face the humanoid AI-controlled boss of 8 existing classes of BnS. DT - Desolate Tomb. Desolate Tomb is a dungeon located in Zaiwei in the South District in the Cardinal gates at the northwest. Players must fight 3 main bosses within the dungeon, Jang Ghibu and his wives, the Iron Juggernaut, and the Lord of the Flame. MSP - Midnight Skypetal Plains. The Midnight Skypetal Plains is the first 24 man raid in blade and soul, and it has the covedted legendary soul shield. DKV - Dawn of Khanda Vihar. The Dawn of Khanda Vihar is a weekly 24 man raid located in the Khanda Vihar. After entering the raid, Players will need to kill the large mob located at the front of the map. NO.6 How many "Player Slang" are there? What does each "Player Slang" mean? My scale my loot - Lots of variants but this refers to Heaven's Mandate and the item required to summon the boss, not officially a rule but common courtesy to allow the scale user dibs on all loot unless they say otherwise. Stealth - Assassin and Summoner skill required for end game dungeons, most of the time, groups are looking for it but will say if they have it. SMH - So much hate. Primer - soul shield primers which you should get once you start gearing up for end game. Clan - Guilds in other games. NO.7 Are there other Blade and Soul Acronyms? What do they stand for? The Force Master focuses on dealing either Fire or Ice damage. So, this article will share the lasted popular build guides on Fire or Ice, some PvP and PvE basic build guides for you. Only available to the Lyn, Blade Dancers have invented their own unique blend of skills exclusive to their kind, instead of wholly adopting the techniques of the Blade Master. The combination of rapid attack speed, high mobility, and devastating control abilities at the expense of defense makes the Blade Master a force to be reckoned with. Destroyer focuses on dealing two types of damage: Earth or Shadow. So, this article will share the lasted popular build guides on Earth and Shadow for you. 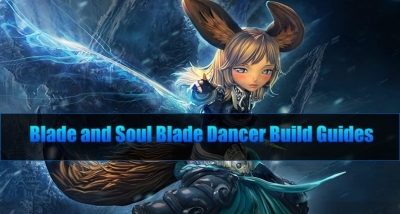 The Blade Dancer can choose to use either a Lightning build or a Wind build. This article will share the lasted popular build guides on Lightning and Wind, some PvP and PvE basic build guides for you.